Lincat has experienced unprecedented levels of interest in its new ‘no frills’ Phoenix induction oven range, which was unveiled at Hotelympia in March. In fact, demand for the new range has been so high that Lincat started taking pre orders for the new model in March and had to ramp up production to meet demand. 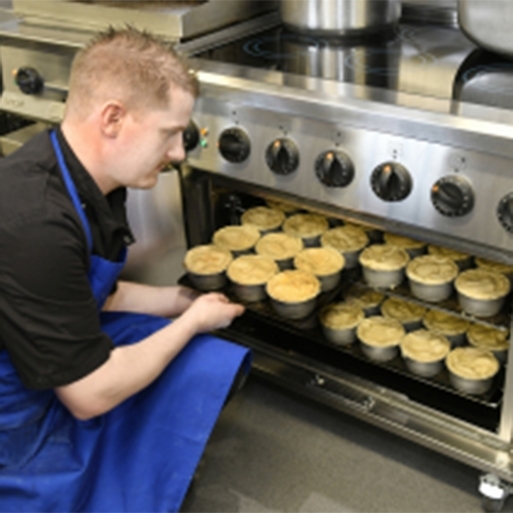 Following extensive and successful field trials, the first Phoenix induction oven ranges were released this week. “It was great to see just how much interest the Phoenix generated at Hotelympia. “It is a powerful demonstration of the fact that operators are looking, in increasing numbers, for energy efficient products and that induction is now a mainstream technology. This is evidenced by strong demand across the board for our induction hob tops and oven ranges, as well as for all of our other energy-saving equipment. The Phoenix Induction oven range is powerful, energy efficient and robustly built. Its spacious 6kW fan-assisted oven, which can accommodate no fewer than six 1/1 gastronorms, sets it apart from other oven ranges in its class. Able to cook up to six foods simultaneously, it offers fast heat up and even heat distribution. The easy-to-clean induction hob top is constructed from 6mm thick high impact resistant glass. It features six 1.85kW induction zones, with in-built pan detection to conserve energy. If additional power and flexibility is required, three can be boosted to 3kW, whilst the others continue to deliver 0.7kW. Heavy duty castors, to facilitate cleaning, are provided as standard.